The World Cup is cricket’s showpiece event. It is the place where heroes are born, fables are written, and history is made. Over the years of the World Cup, several batsmen have dazzled with some ethereal knocks and bewitched cricket lovers with their resplendent deeds with the bat. From Kapil Dev’s match-saving 175 against Zimbabwe in the 1983 World Cup, to Sachin Tendulkar’s stupendous 98 against Pakistan in the 2003 World Cup, to Ricky Ponting’s murderous 140* in the final of the 2003 World Cup, to Adam Gilchrist’s sparkling 149 in the 2007 World Cup final, great batsmen have carved their place in the hearts of cricket lovers forever. In this article, let us look at 5 greatest batsmen to have ever played World Cup cricket. At No.5, comes the wizard from the West Indies- Brian Lara. 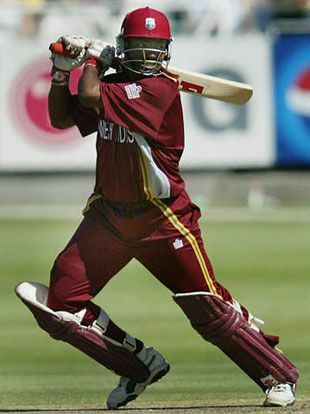 Lara featured in 34 matches for the West Indies across 5 editions of the World Cup from 1992-2007 and scored 1225 runs at an average of 42.74 including 2 hundreds and 7 fifties. Lara was indeed flamboyance personified. His hopping cover drive through the off side made fans crave for more, and his majestic pull shot past mid wicket made even the best of bowlers cringe in disbelief. Adam Gilchrist will go down as one of the greatest wicket-keeper batsmen to have ever played World Cup cricket. The dashing left-hander featured in 31 matches for Australia in World Cups, and scored 1085 runs at an average of 36.16 and a strike rate of 98.01. The 149 he smashed in the 2007 World Cup final just blew away the Sri Lankan bowling attack and allowed Australia to complete a hat trick of World Cup titles.